4. Stick with it: this system is designed for busy people, if that’s you, keep reading!! 1. Grocery Inventory: I’m including links to the spreadsheet that I use, but of course you can make your own! …if you have a problem downloading any version, simply leave a comment and I will get back to you right away!! 2. 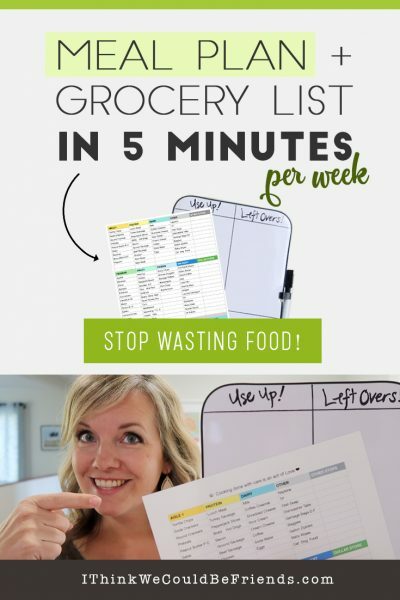 Populate your form: roughly fill in your grocery inventory and a set of meals that you know you can stick to (it doesn’t have to be perfect, you can revise it as you go!! “IP” means that it is a meal that I make in our Instant Pot. I’ve really come to appreciate my Instant Pot, especially in the summer when I don’t want to heat up the whole kitchen! But year round, I love that it creates minimal dishes. I will be sure to create a video on it, along with our favorite instant pot meals, in the future! Please don’t hesitate to let me know if you have any questions (or suggestions!) and best wishes with your meal planning!!! Could you please send me the 2 excel files for meal planning? Love your channel! And I would be so happy if you could email me a sheet to make my own. Thank you! I was wondering if to go along with the meal plan you use, if you also had the recipes that go along with it? I am interested in trying out a lot of new recipes! Can you email me the meal planning sheet please? Just found you on YouTube and enjoying learning from you. Thank you! I couldn’t download the meal planning sheet either. Would you email it to me? Thanks. Hi Dawn! The Excel Meal Planning sheet and Numbers Meal Planning sheet aren’t downloading. Could you please send them to me? By the way, I love your YouTube channel! You’ve inspired my family and I to become more minimalistic. The change has been extremely positive! Thank you so much! Love your videos! Will you email me the Numbers Meal Planning Worksheet. Can not get it to download. Hello! I think we could be friends! My husband and I have been reducing our load for the last several years and yet my pantry and brain have continued to be stressed over food. I finally looked at him exasperated and said, “There HAS to be a way to apply minimalism to our food the same way we have to our lives without eating the same thing every day. We don’t wear the same outfit.” His response, “google it”. So I did. After a few disappointments I stumbled across your video and was so excited! You are me. And you shop like we do. And you have a workable system. I was literally bouncing up and down on the couch while you explained your system. I just wanted to say “thank you” for taking the time. We are just now coming our of our survival years with our oldest being 5 and our youngest turning 3 this summer. I want to establish this pace so that they can see the joy in cooking and eating and not the stressed look on mom’s face when they remind me that they are hungry. again. This is SO cool to hear!!! THANK YOU for sharing and all my best to you and your family!!! I would enjoy a copy. I just emailed the sheets, so sorry for the delay and THANK YOU for the kind words, I greatly appreciate it!!! Just sent, SO sorry for the delay!! I LOVE this! Where were you about 15-20 years ago? I am now an empty nester, but this is better than any system I came up with when my children were younger. I had a grocery list entered into Excel, but it was much more complicated. Even being an empty nester (but still working), I can adapt this to my needs. THANK YOU! Please email the grocery list. The link isn’t working for me. Thanks. Just sent, so sorry for the delay! hello! do you have this in google sheets? I don’t! But should! I just emailed them to you! Unable to download any of the documents. Could you please email them to me at the email below? Thanks!! HI, I just found your channel and I’m loving it. Thank you! I was able to download the excel sheet, but was curious how you use the Walmart and other stores section. For example, I had TP in my other category, but I sometimes get it at Walmart. Would you just list things you get at Walmart or Dollar Store sometimes, then highlight it each week where you plan to buy? I hope that makes sense. Thanks again! Hello! Would you please email me the sheet as well! Thank you! I love the beginning of the video that brought me here where you talk about how every item in our home is inventory that we must manage. This is something I’ve realized in the past couple of years and I wish my husband and children could understand this the way I know it. Not that they are fighting my goals to simplify, but I know they aren’t experiencing it from the same mentality. Please email me the excel version? Courtneykaase@gmail.com Thank you! SO sorry for the delay! Just sent it! Dawn, Do you have recipes for your meals? Also, I noticed you have CK Parm on there twice, is that 2 different meals? What do you consider quick? Something you still have to make or something you can grab out of the freezer? How do you determine the sides that you make with your dishes? I really love this system. Right now, its only my husband and I, with a baby on the way, but notices that we wasted so much food or come back from the grocery and notices we already had some stuff that I just bought. I am trying to do anything I can do declutter and make space for baby. I also could not get the meal plan sheet to open. Would you please e-mail me the sheet? Thanks so much. I love your channel and get so many great ideas from it. Can you email me the numbers download. Looking forward to using your meal planner! Please email me the files for meal planning. Thank you so much.. I was trying to download the following file “Numbers Meal Planning Worksheet” in this article and it won’t let me upload. It says that there is a problem with the file. Is there any way you could email this to me, please? My email address is naomi_alvarado@yahoo.com. Your channel is terrific! Now to explore your website. This 65-year-old gramma has loads of experience with all sorts of cooking, cleaning, housekeeping, etc however since menopause and retirement, my ADD has gotten noticeably more troublesome. I suspect a lot of us who need help with home organization either have ADD or just didn't acquire the organizational skills when we were younger. Sometimes we have the skills to handle our own personal lives but when we add in multiple kids and a spouse and a home and a job … it can be a bit much! Thank you for helping us bridge that gap. One question … what is Alice Springs Chicken??? Maybe I missed it somewhere but that sounds intriguing. 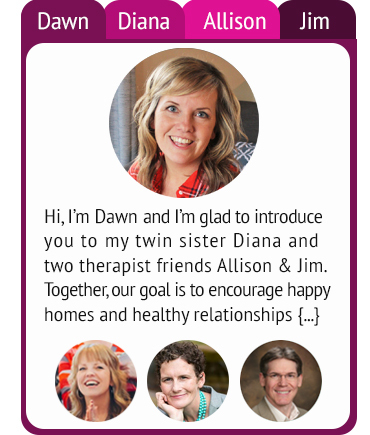 Hi Dawn, I love your channel! I can’t seem to get the downloads. Can you please email them to me? I love your meal plan, but could not open either download. So excited to add to my 2019 life. Could you send link by email that I can click on & print. Thanks you for your ideas & guidance. I would love to use your inventory/meal plan sheets. Can u please send the link yo print or download? Hi! Can you please email me all the files? I can’t get any of them to download! 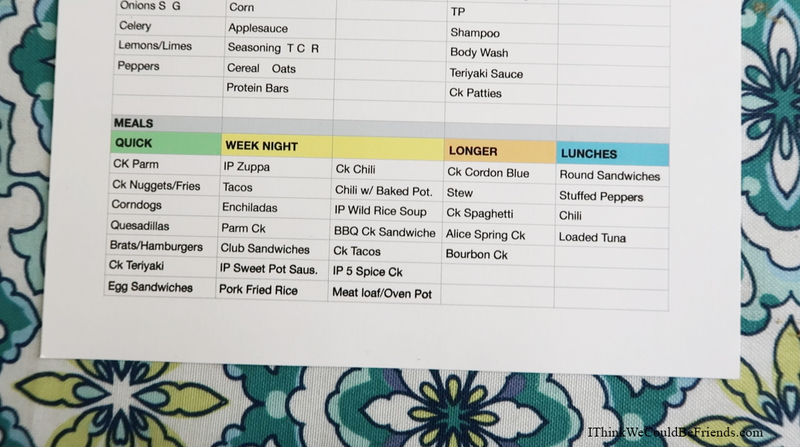 I would love your meal planning sheet! Please email all meal planning charts. Wasn’t able to download the links ? Can you please email the excel version? Hi I would love to try your system for meal planning but I can’t seem to find the link to download. Can you please email it to me? Could you please email the sheets please? Could you email me the sheets? I found you through YouTube and traced you back here. I’m excited by your plan and ideas for how to make things simpler. So I am currently preparing meals in quantity to be eaten as leftovers or frozen for later. Luckily he is ok with it. My other challenge is that I spend several days/week with my elderly Mom in her home about 100 miles away. Her dietary issues and preferences are different than either of ours. I think the board on the fridge will help all of us. If you have suggestions, I’m all ears! Thanks. Hi could you email me the sheets? Hi! Loving your YT channel! I think your system is one that will FINALLY work for me. Yay! I’m unable to download an editable version. Any chance you could email it to me? Thank you! I just found your youtube channel and have become such a fan! Still such a work in progress, but we are getting there one room at a time. Thank you so much for all the work you put into making these videos. They are such a blessing! Would love it if you emailed me the edit-able Numbers version of the grocery inventory spreadsheet? Thanks again so much and hope you have a wonderful Thanksgiving! I cant get the sheet to download. can you send it to me please? thank you! HI Dawn! Love this video! I have not been able to find a system I can stick to that is quick and easy, but I feel like this might be the ticket! A few question though…. he food items listed, are those foods you keep on hand at all times for just breakfast, snacks, lunches, deserts? Or does that include things for dinners as well? I’m finding as I make mine that things I only use for dinner meals are popping into the list, but looking at yours, I am having a hard time being able to tell. Do you keep your quick meals on hand at all times too? If you do, would those items be listed in the food categories? Or do you plan on certain days being quick meals? Sorry for the questions! Love this plan! I came across your videos on YouTube and was fascinated! You touched on so many topics that I’m dealing with. This menu plan in particular looks genius! Can you please send me the links for them? I tried opening the ones provided, but they wouldn’t work for me. I tried downloading them several times with no luck. I end up wasting a lot of food. I think your management documentation is a great idea. I had trouble as well downloading the numbers file. Would you be so kind to e-mail it to me? Thank you so much! I also need the “Numbers” file. Could not download. Will you please send me a copy also? I had trouble downloading the numbers file… would please send? Thank you! Love your blog and your Youtube channel also! I was able to find some of these recipes in your post 10 Quick & Easy Week Night Dinners You Haven’t Tried Yet. Those are wonderful! Any chance you could provide recipes for the other meals on your planner? Also, what you prepare for side dishes to go along with them? Thanks for all of the great info! I’m just curious what are your regular go-to breakfasts? What is the numbers file? it doesn’t seem to have a correct extension on it. I can’t open it. Is it suppose to be an excel file? thanks! You’ve inspired me. My sheet is much bigger than yours but it was a great start. I would love the excel version of your already filled out list as well. Aldi for the win! I absolutely love your message and channel! Making my life easier is what i’m all about. Hi! Sorry for sounding so rude and blunt!!!! Please email me your grocery list. I LOVE YOUR CHANNEL. Please could you email the food lists. I can’t download it. Many thanks. I have only just discovered your channel. Hi Dawn! Thanks for this, I just discovered your YouTube and I subscribed and loved! WHat does ck mean in your list of meals? I found your video on YouTube, some amazing content that you frequently share. I just put a magnetic board on my fridge today an idea that I got from your website. I just added 2 more columns under use up and leftovers, that say to freeze and stock up with things I need to put on the freezer later on or my more. Btw I tried to download the file on my phone but I couldn’t open it. Would you mind sending it to email? I’d highly appreciate it. Thanks in advance! Hi Dawn! I can’t download this file either on my PC – would you be able to email it to me? I love idea and can’t wait to use it with my family! Hello! Thank you so much for these downloads! I really appreciate it :) I am having a problem with downloading the number meal planning worksheet. Everything else is fine. Can you email it to me? Thanks! Can I have metoo the file for the grocery inventory with all the items you have added? Thank you! Would you mind posting a download for the grocery inventory with all the items you have added? I know your list will be different than mine, but I think it would be a helpful starting point. Plus, from your video, I’m guessing you shop at Aldi. Since I also shop there, I think a lot of my food items would be in the same aisles as the food items on your list. Thanks for sharing your meal planning system. 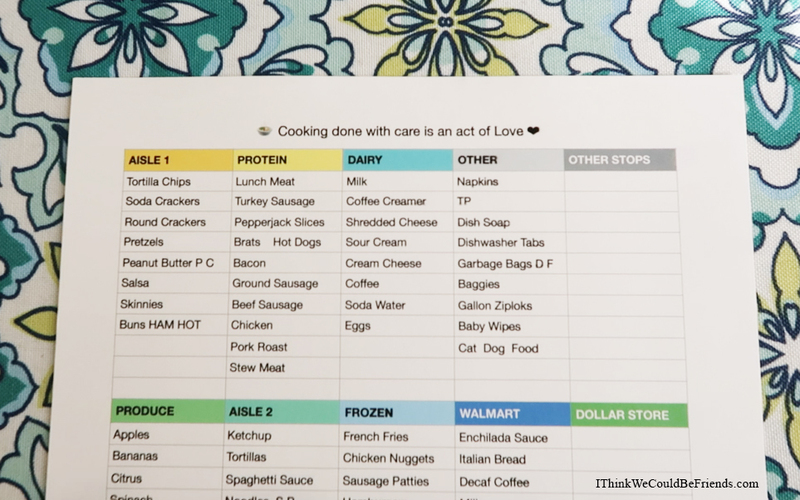 It looks like it could really simplify meal planning for me and my family! I was able to down load the form but can not change anything. I did down load the excel document. I wasnt able to download any of the meal planning sheets am I doing something wrong? I was able to Downlad the file- but it wouldn’t open on my phone..
Could you email them to me? lisa.davidson541@yahoo.com.